Minorities and women, minority women in particular, are underrepresented in academia, even more so in the STEM disciplines: science, technology, engineering and mathematics. Members of these underrepresented groups represent an untapped resource. Failure to fully develop talent and fully utilize resources serves as a threat to the nation's economy and global competitiveness. The National Institute for Faculty Equity seeks to address this persistent problem, in part by institutionalizing the professional development and career success of women and minorities in STEM. The National Institute for Faculty Equity (NIFE) is a research and development initiative to support individuals, communities and institutions in efforts towards the full engagement and career success of academic faculty. NIFE serves as an active repository, resource and go to place for programs, practices, policies and consultation on faculty diversity, equity and inclusion throughout all areas of research, education and service. The Executive Director of NIFE, Dr. Gilda Barabino, is internationally recognized for her work in faculty development and diversification of the academy. The National Institute for Faculty Equity offers annual Minority Faculty Development Workshops (MFDW) for early and mid-career engineering faculty who are members of underrepresented groups as defined by NSF (African American, Hispanic, and Native American). The workshops feature speakers from across the country and are aimed at providing opportunities for professional development in academia as well as support to those interested in pursuing their interests in entrepreneurship and working with industry. The topical pages within this site host presentations given at past workshops. 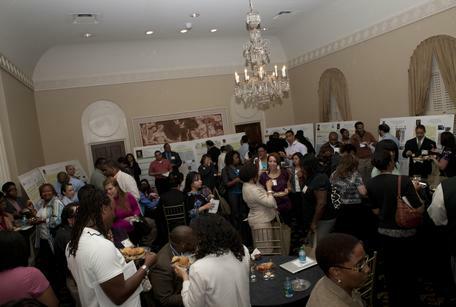 Learn more about the Minority Faculty Development Workshops. The Cross-Disciplinary Initiative for Minority Women Faculty (CDIMWF) is a research-driven initiative to enhance the socialization and career success of minority women faculty in engineering. This project employs an innovative approach to study, understand and address the unique challenges facing women of color in the academy by drawing on the interdisciplinary knowledge base of both the social sciences and the physical sciences and engineering, by bringing women faculty together across disciplines for self empowerment, support and constructive problem solving. The series of national workshop-based conferences provide a framework for professional development, the development of effective strategies and sharing of best practices and for sustenance of a community of practice that participates in networking, mentoring, data collection and dissemination. The PI, Gilda Barabino, Professor in the Wallace H. Coulter Department of Biomedical Engineering, Georgia Institute of Technology and co-PI, Cheryl B. Leggon, Associate Professor, School of Public Policy, Georgia Institute of Technology, build upon their prior research, programs, and policy initiatives. Activities that comprise this initiative are grounded in relevant research and evaluation literatures. The Initiative provides strategies and opportunities for participants to enhance their abilities to develop and implement strategies to successfully pursue a career in academic engineering. This project is funded by grants from the National Science Foundation: HRD-0750230 and ENG-1135303.